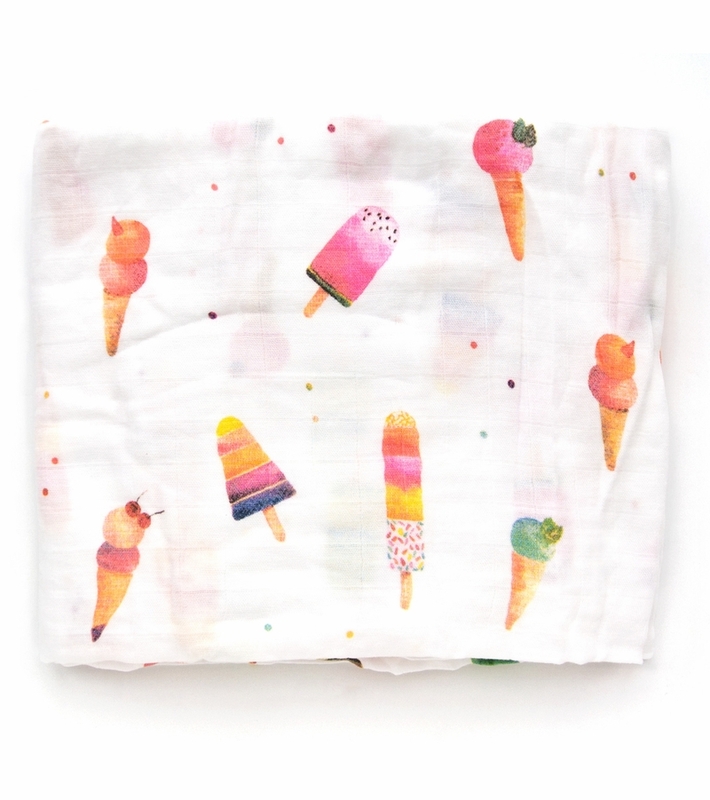 This ice cream and popsicle printed swaddle blanket is fun and happy! It's the perfect swaddling blanket for all year. It is made from the softest bamboo muslin, which is silky smooth to touch and gentle on baby's delicate skin.